Today I went to the LA Times Festival of Books – my favorite of all festivals. Not only are there many great books for sale, but there are awesome author interviews. And you never know who you might meet. 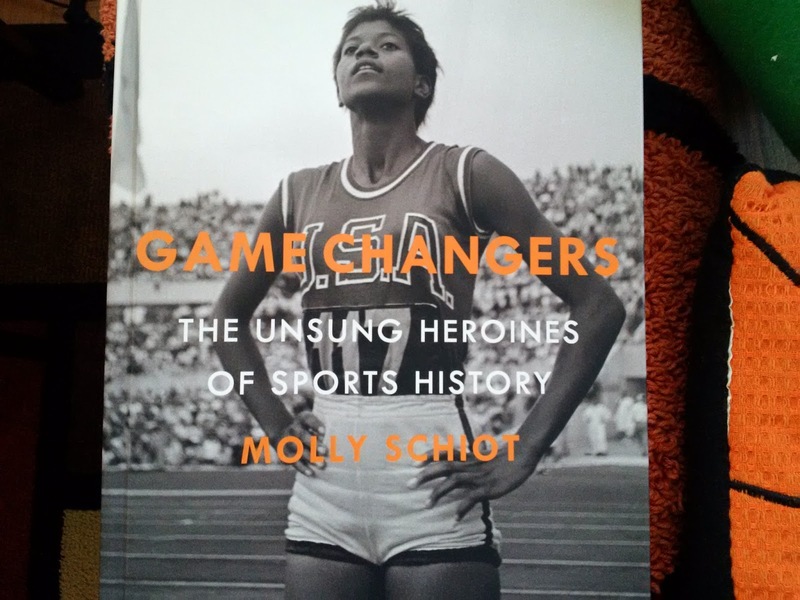 I stopped by the LA84 booth and started talking to filmmaker Molly Schiot about her book “Game Changers: the unsung heroines of sports history” as I leafed through it. 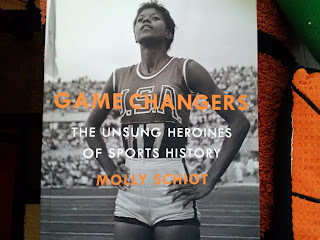 The book features women who were pioneers in all sports over the last 100 years or so: a summary and a picture, and sometimes interviews. It was captivating. Schiot directed an episode of “30 for 30” for ESPN. She pitched numerous ideas for features on female athletes, and they rejected every one. So she set about to do some research herself. She began at the Los Angeles Public Library and eventually advanced to the LA84 library. She kept going, until she’d compiled enough to make the above beautiful 285-page book. Basketball greats featured are: Pat Summitt, Kay Yow, the All-American Red Heads, Cathy Rush/Immaculata College, Violet Palmer, the 1984 Cuban National Women’s Basketball Team (pictured with Fidel Castro), Molly Bolin Kazmer, Sheryl Swoopes and the Wayland Baptist Flying Queens. Among other athletes featured are tennis greats Alice Marble, Andrea Jaeger and Althea Gibson, rowing giant Anita DeFrantz, track legend Wilma Rudolph, race car driver Shirley Muldowney, the first female sports journalist, Melissa Ludtke, and many more, including numerous ground-breaking African-American athletes and the first female athletic director of a college (1904). Seeing these women – sometimes in black and white photos – in each decade of the last century inspires wonder, awe and then gratitude. There are well-known names, and obscure ones. Schiot had to come to grips with their anonymity in the sports world, too. The stories in the book are just as fascinating as the pictures. Go get it. You’ll be glad you did.